Create a worshipful holiday atmosphere with Christmastime and Michael W. Smith Christmas! Seasonal classics and original songs include 'We Three Kings,' 'Christ the Messiah,' 'O Christmas Tree,' 'Lux Venit,' 'Hope of Israel,' 'Carols Sing,' 'Silent Night,' and more. Two CDs. 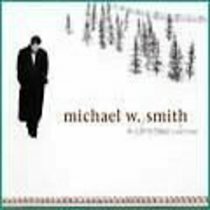 :Create a worshipful holiday atmosphere with Christmastime and Michael W. Smith Christmas! Seasonal classics and original songs include 'We Three Kings,' 'Christ the Messiah,' 'O Christmas Tree,' 'Lux Venit,' 'Hope of Israel,' 'Carols Sing,' 'Silent Night,' and more. Two CDs.